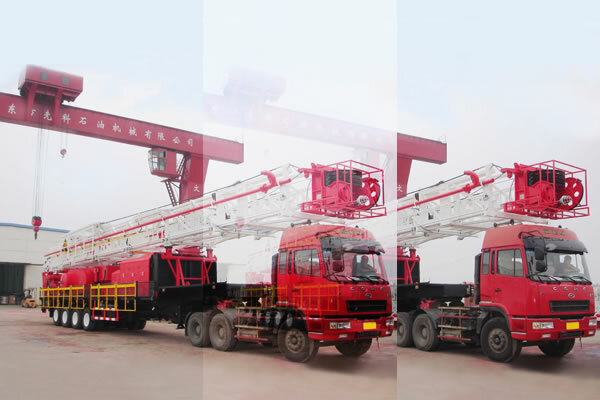 ZJ40T/2250 trailer mounted drill equipment is suitable for drilling operations of oil and gas wells whose drilling depth is within 4000m, which is equipped with special four-axle semi-trailer chassis, double engine and compound gear power system, 38m or 39m hydraulic telescopic mast. 1. 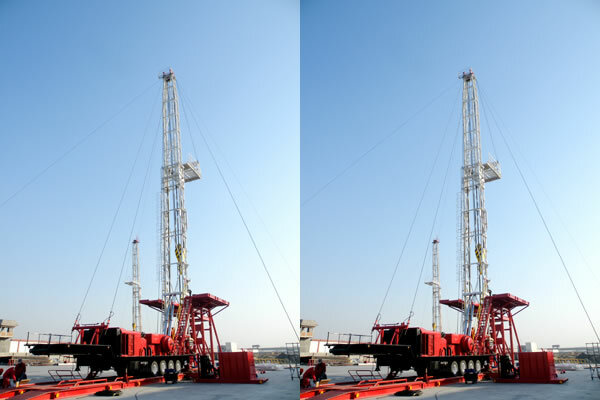 Hydraulic oil well drilling rig is equipped with Allison S series hydraulic transmission case, which has low operation and maintenance cost. 2. The product adopts special semi-trailer chassis, which is fast and move cost is low. 3. The main brake of draw-works can be disc brake or belt brake; the auxiliary brake is pneumatic water cooled disc brake. 4. 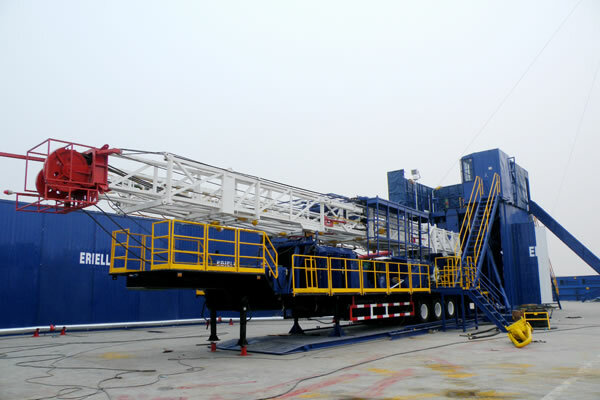 This rig features reasonable layout, reliable operation performance and low transportation cost, easy for on-site installation and maintenance. 5. 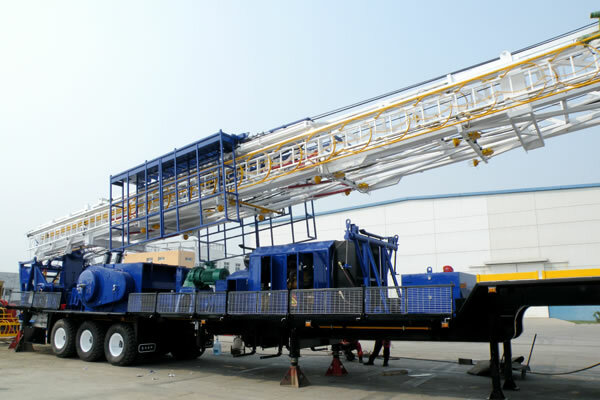 Trailer mounted drill equipment uses Caterpillar diesel engine, which has a reliable performance.